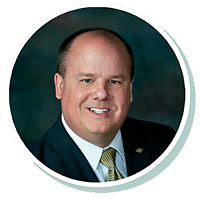 Eric has been with Stearns Bank since 2003. In his early years at Stearns he served as a branch manager and has always been dedicated to commercial lending. He does a variety of lending for Stearns Bank, including commercial real estate construction, tax liens, SBA, distressed debt finance and USDA business and industry lending. Eric really enjoys working hard to find practical solutions for Stearns Bank customers. He takes tremendous pride in taking a deal from beginning through closing to "get the job done."